Crisp buttery shortbread is a traditional Christmas favourite. For accuracy, use digital scales to weigh ingredients. Volume measurements are given in Australian Standard cups (250ml) and spoons (20ml tablespoon, 5ml teaspoon). Preheat your oven to 160 degrees Celsius (140 degrees Celsius fan-forced). You will need two baking trays and two pieces of baking paper each large enough for a 21cm diameter shortbread round. Using a pencil and a 21cm plate or bowl as a guide, draw a circle onto each piece of baking paper. Turn the paper over so the pencil mark doesn't come in contact with the shortbread. In a medium bowl stir the flour and rice flour together until well combined. Set aside. 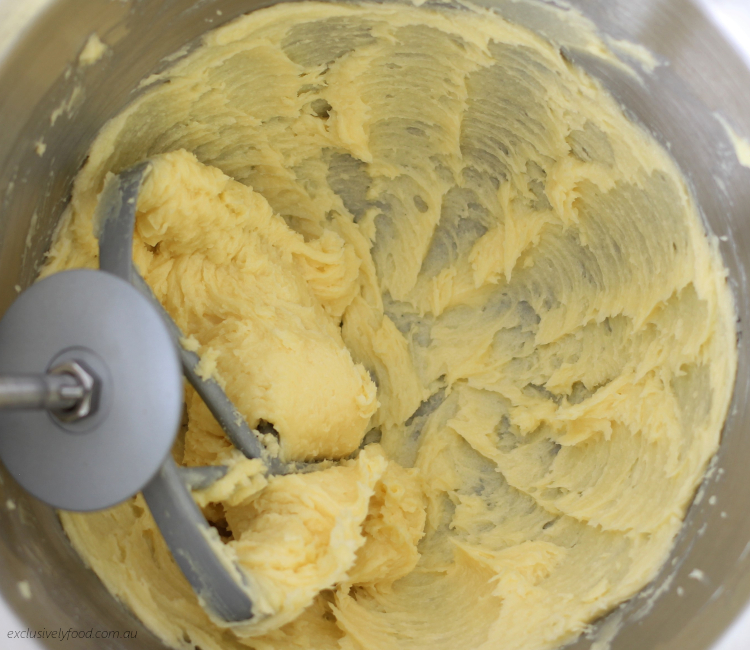 With an electric mixer or electric beaters, beat the butter, sugar and vanilla together on medium speed until the mixture is pale and creamy (about 3 minutes). Stop the machine a couple of times during beating to scrape down the side and base of the bowl with a spatula. Add half the flour mixture and mix on low speed until nearly combined. Stop the machine and scrape down the side and base of the bowl. Add the remaining flour (and nuts if using) and mix on low speed until combined. Use your hand to bring the dough together into a ball. Divide the dough into two equal portions. Roll into balls then place onto the prepared baking paper. Flatten into disc shapes. Use your hands or a rolling pin to form the dough into the shape of the circle. To decorate the edges, pinch the dough as shown in the photo. Use a long sharp knife to score each round into 12 equal wedges. Prick the dough with a fork to decorate. Sprinkle a teaspoon of sugar evenly over each of the circles (the remaining sugar is sprinkled over after baking). Lift the baking paper and dough onto the baking trays. Bake for about 40-45 minutes, swapping and rotating the trays halfway through the baking time to ensure even browning. The shortbread should be pale golden and just firm when pressed in the centre. Remove shortbread from the oven and sprinkle with the remaining sugar. Use a sharp knife to cut along the scored lines. Cutting the shortbread while it is still warm gives a clean cut without cracking. Allow the shortbread to cool on the trays. Rice flour isn’t something we use regularly, so rather than buy a packet that expires before we need it again, we purchase the exact amount required for the recipe from a bulk food shop.